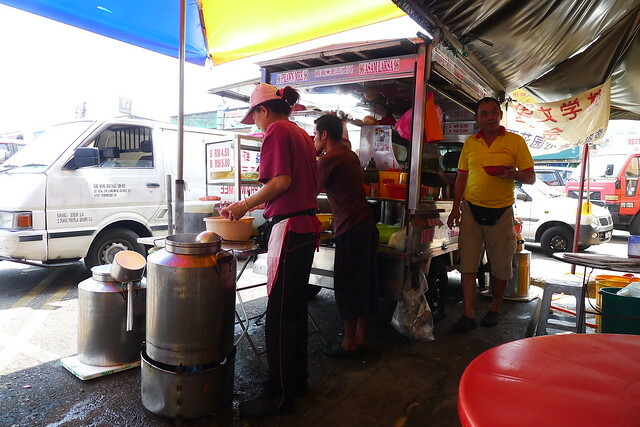 On a fine Thursday afternoon, me, Arron and Carmen, three musketeers from Penang went to look for a Asam Laksa and Hokkien Prawn Mee stall at Seapark, Petaling Jaya. 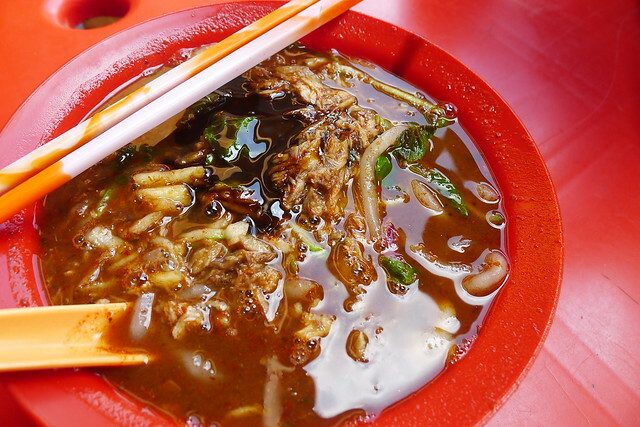 The combination of Hokkien Prawn Mee and Asam Laksa only can be found in Kuala Lumpur or outside of Penang as you don’t really see it in Penang. They just wanna sell “Penang” food. After following the point on the GPS, we reached our destination, feeling a little bit Penang because it’s not a kopitiam but on the corner of some shop lots, placing a few tables and here they eat. 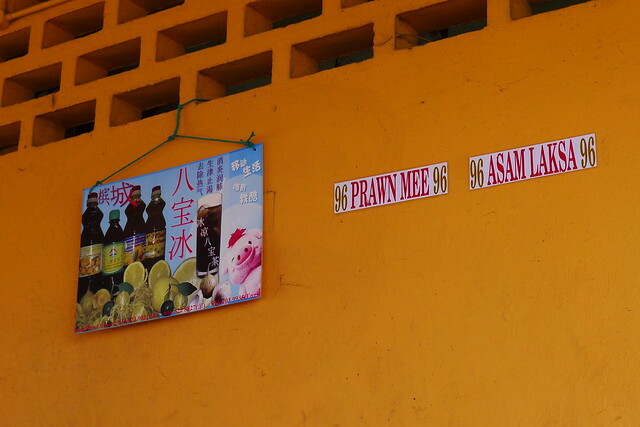 Surprisingly, I hear the stall owner speaks Penang Hokkien, so I assume they were from Penang. Ordered a bowl of Asam Laksa and Hokkien Prawn Mee to try out the tasted. The asam laksa came first. Looks nice in a nice red bowl, has many fish but then the soup tasted weird to me. It’s not Penang enough, not sweet enough and lack of the fishy taste. They actually put in the fish separately instead of coming out from the soup. Ignore the ugly photos of the Hokkien Prawn Mee, I took it after I ate it. Sorry. Haha. Here comes the hokkien prawn mee. To be honest, this is better than the asam laksa to me. The prawn taste was there, tiny little shrimps were good and I’ll say this is ok-good. Still not better than Penang but I will be back for the hokkien prawn mee. Though, there’s no egg. 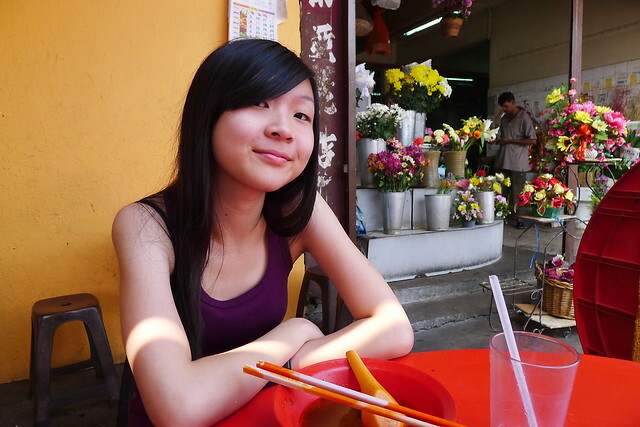 Eater #2: Carmen from Penang. 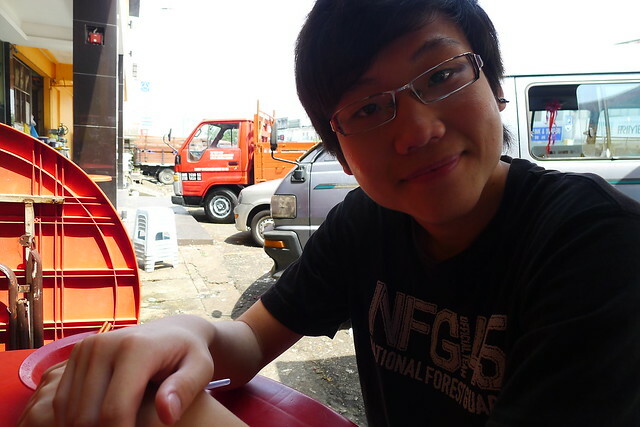 Eater #3: Arron Lim from Penang. Anyway, this is a good stall, I will be back for the hokkien prawn mee. 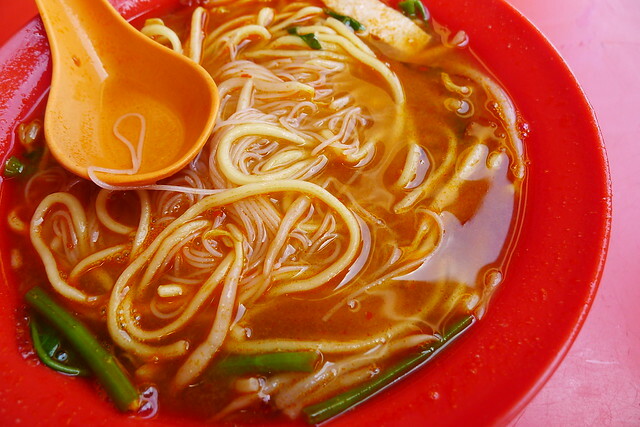 =) Another thing is I saw people eat asam laksa with bee hoon, weird. Haha. 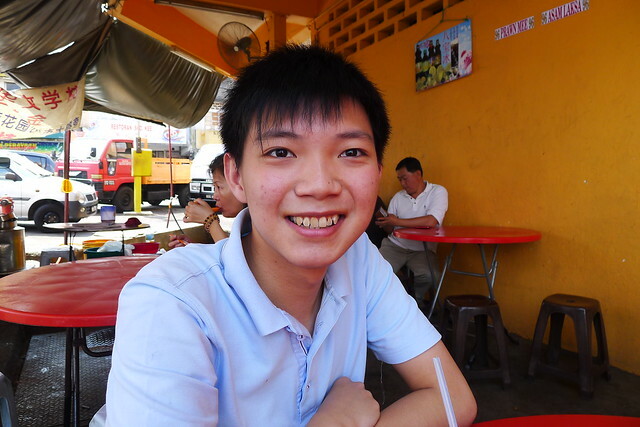 Any recommendation of Penang food to me and the reader?